Andrew Bird On World Cafe : World Cafe The indie rock artist zooms way out on humanity across history's timeline, seeking insight about our current age with his latest album My Finest Work Yet. 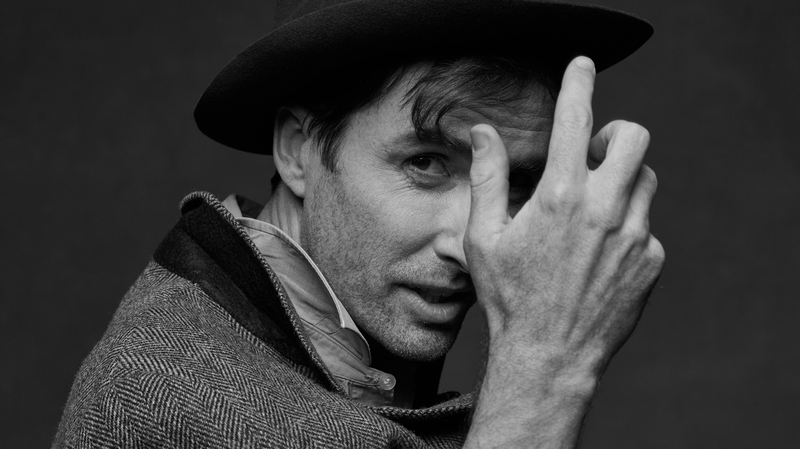 "Down Under The Hyperion Bridge"
On his last album, Are You Serious, the always inventive Andrew Bird drew inspiration from monumental moments in his own personal life, including getting married and having a son. And now, on My Finest Work Yet, Bird zooms way out on humanity across history's timeline, seeking insight about our current age, in a way he hopes "stays above the news feed noise." On "Manifest," Bird traces the evolution of life from single celled organisms through vapor and beyond. On "Archipelago," he introduces the idea that "our enemies are what make us whole," and elsewhere he addresses futility, fate and responsibility. There are songs that draw on Greek mythology, from Sisyphus to the Olympians, and one inspired by The Spanish Civil War. And in the most Bird-ian way, Andrew somehow turns these high concepts into amazingly fun and appealing pop songs that aren't on the nose, aren't prescriptive or patronizing. Just offerings of some important stuff to think about or whistle along to. I spoke to Andrew about why he wanted to record the whole album live in a room with his band, his tendency "to seek out struggle" and creating sounds based on what he perceives the space around him wants to hear. Listen in the player.